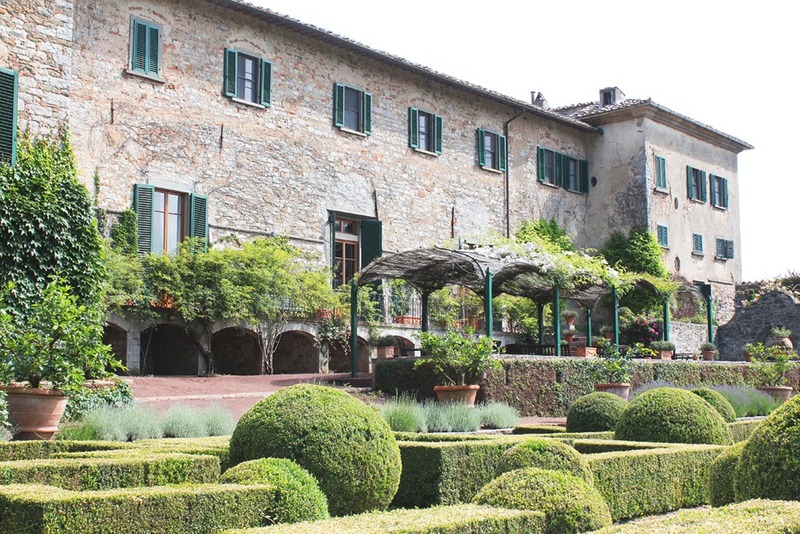 The old school vs. new school trope gets a work out in Chianti. 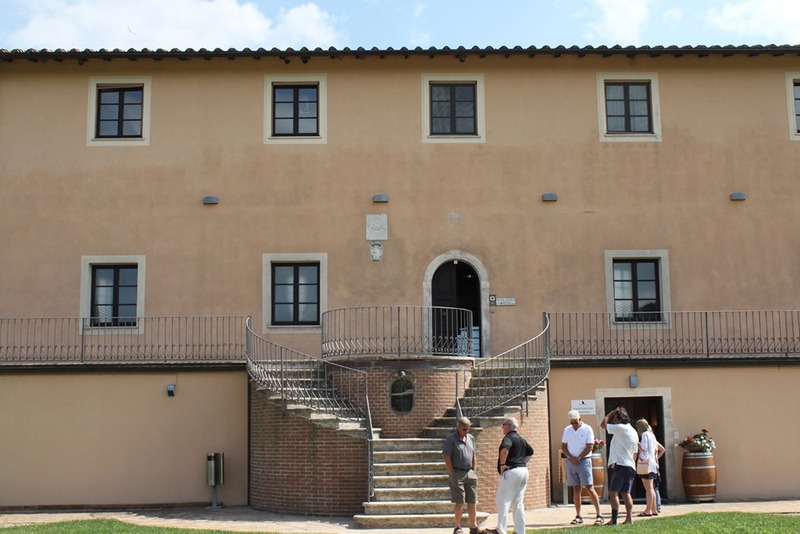 After our brief flirtation with Florence, our tour headed south toward the Chianti Classico region of Gaiole with the first stop at Badia a Coltibuono (Abbey of the Good Harvest), an historic and highly regarded Chianti producer. 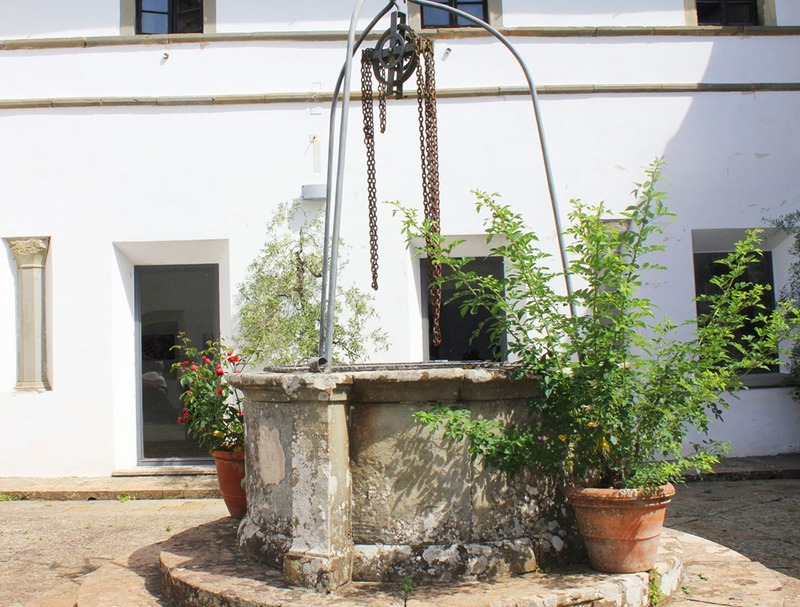 This winery’s history reaches back to the 11th Century when Vallombrosan Monks founded the abbey and began planting vineyards. Records indicate they planted Sangiovese grapes and were among the first to plant olive trees in the region. 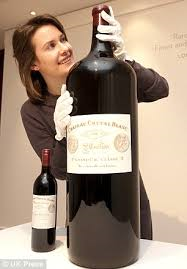 Fun fact: The monks drank about 4 liters of wine per person per day because their water was contaminated. Over many centuries, the monks developed a flourishing wine business until 1810 when they were forced out by Napoleon and the winery put up for sale. 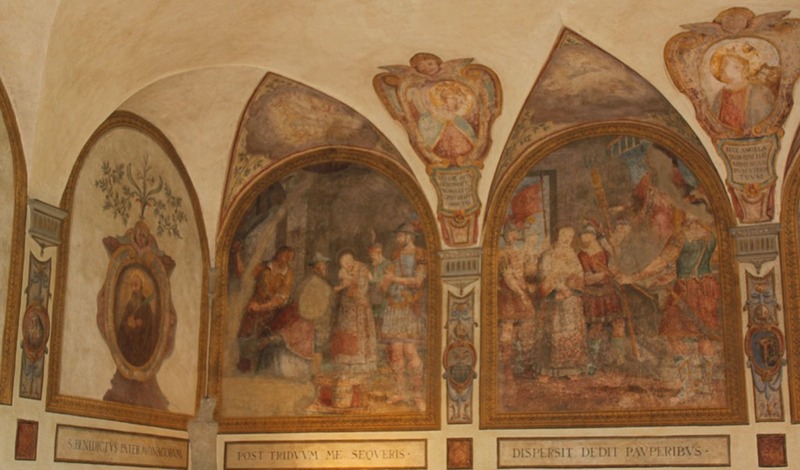 In 1846, Coltibuono was bought by Guido Giuntini, a Florentine banker and great grandfather of Piero Stucchi-Prinetti, the present owner, whose children now run the winery. They own 64 hectares of organic vineyards with properties that include a bed and breakfast and restaurant, producing about 400,000 bottles per year. and some of the funkiest storage cellars you will ever see. 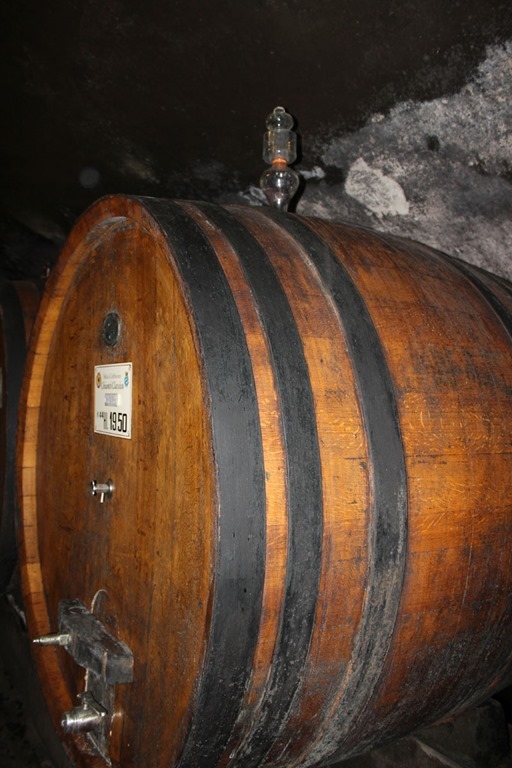 The inches-thick black stuff on the walls and ceiling of their barrel room is mold that has been forming for centuries. Winery personnel claim the mold is essential for the aging process. It helps maintain the humidity in cellars without having to use expensive humidifiers, thus preventing excess evaporation which would increase alcohol levels and reduce volume. Badia a Coltibuomo is a traditional Chianti producer using 90% Sangiovese and 10% Canaiolo, Ciliegiolo, and Colorino in their basic Classico wine, which is aged in large botti that hold 3000 bottles, and are as much as 50 yrs. old. The wines stood up well to their reputation. Even the entry level Chianti Classico 2015 had some complexity showing earth, a bit of tarragon and savory balsamic notes. The Riserva level 2013, which spent 2 years in oak and 2 years in the bottle, with grapes harvested from 45-50 year old vines, had a beautiful earthy/ floral nose and impressive structure, round and full with a long finish. The 2009 Riserva was even more impressive, very elegant yet still firm in structure, developing aromas of wet leaves, tobacco, coffee and dark chocolate. For a traditional flavor profile I highly recommend these wines which are affordable and available in the U.S.
After departing Badia a Coltibuono we headed into the hills for lunch at Ristorante Le Contrade. This restaurant is in the middle-of-nowhere with sweeping views of the countryside. 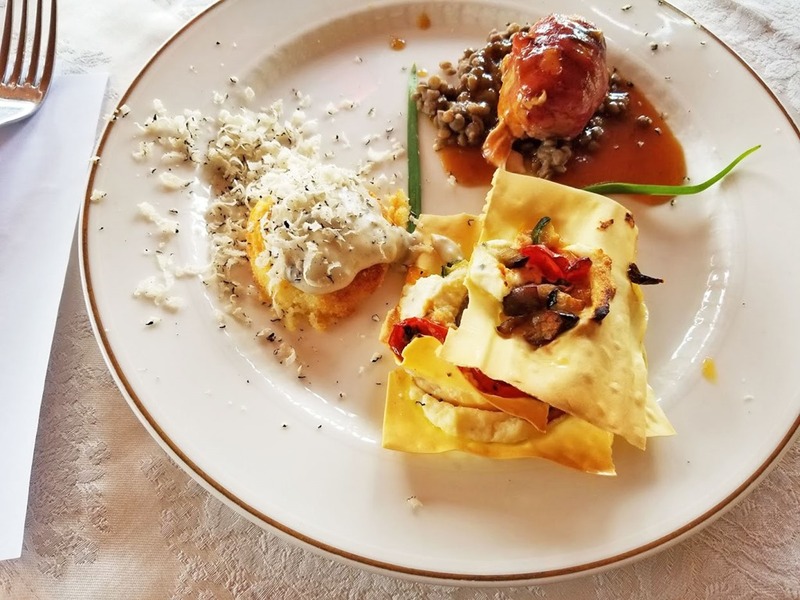 The lunch was this inventive trio of hot and trio of cold dishes—the star of the show was the “cappuccino” of frothy parmesan cheese topped with truffle, with runner up the boned quail stuffed with foie gras and lentils. After lunch we headed to the southernmost part of Chianti Classico in the Castelnuovo Berardenga zone where Tolaini Winery is located. This is a much more modern approach to winemaking. After leaving his native Tuscany in 1956 to make enough money to start a winery, Pier Luigi Tolaini founded one of the largest trucking companies in North America. After 40 years in the transportation business he returned to pursue his true passion of making great wine. 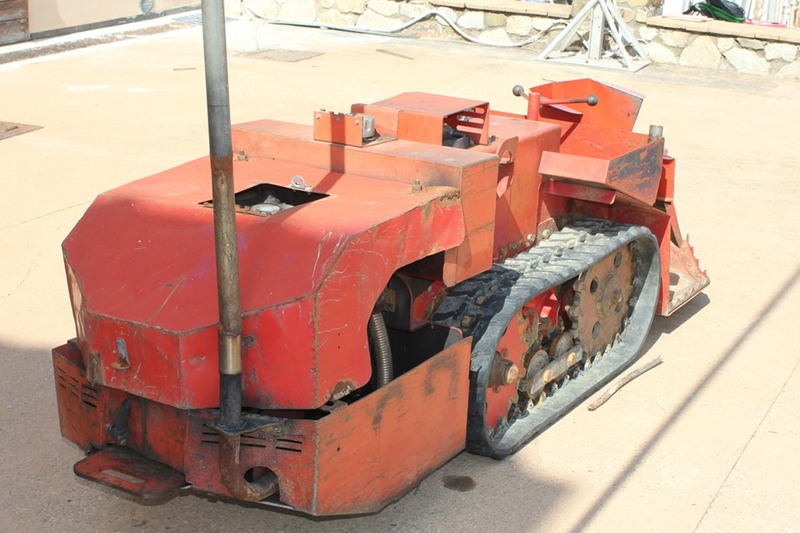 With his mechanical background, Pier created a state-of-the-art gravity-flow production system with unique, two chamber fermentation tanks and his own custom tractors that fit between the rows of their tightly spaced vines. The theory behind his viticulture is that hi-density planting, 7000-11000 plants per acre, will force the plants to compete driving the rootstocks deeper into soil seeking water and minerals. That high density planting makes this specialized tractor necessary in order to do the vineyard work. His unique stainless steel tanks include a top fermenter that allows juice to drain into the tank below. The must is then pulled out of the top tank and pressed again. They also use a state-of-the-art optical sorter for their berry selection. Just as their winemaking is innovative so is their wine line up. Their Al Passo is 80% Sangiovese and 15% Merlot, and although by current law they could sell it as Chianti, it’s sold as IGT Toscano to avoid Chianti’s somewhat tarnished reputation. 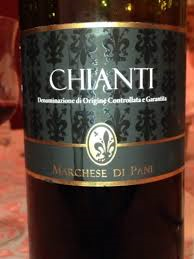 And indeed this wine shows more plum and meat than standard Chianti. Their homage to Chianti Classico is in their Vigna Montebello Sette which bears the relatively new Gran Selezione designation. This is 100% Sangiovese aged for 30 months in large foudre casks. It’s rich, with dark fruit and earth, quite rustic with grippy tannins. It’s age worthy but needs time; it is sold in the U.S. for just over $30. Picconero is their Bordeaux-style offering. A blend of Merlot and Cabernet Franc, and produced only in the best vintages, it’s muscular and spicy with dark cherry, chocolate and a seam of minerality, a very successful rendition of Bordeaux in Italy. With 16 months in 100% new French oak, it sells for over $100 in the U.S. Finally, we tasted their Valdisanti, a Cabernet Sauvignon dominated blend with 20% Sangiovese and a bit of Cabernet Franc. The Cab influence is quite evident with cassis, sweet oak, and a very nice savory, herbal dimension. This spent 16 months in French barrique, 70% new, including 6 months on the lees. It’s a good bargain for around $30. These wines get good scores from the Wine Spectator and other critics and are clearly designed for the international market. So we had an interesting juxtaposition of old school and new school Chianti. Which was my favorite? These are all quality wines but the Badia a Coltibuono Riserva is the one that sticks in my mind. It’s distinctly Chianti Classico but offering much more than your garden variety bottom-shelf Chianti at under $30. 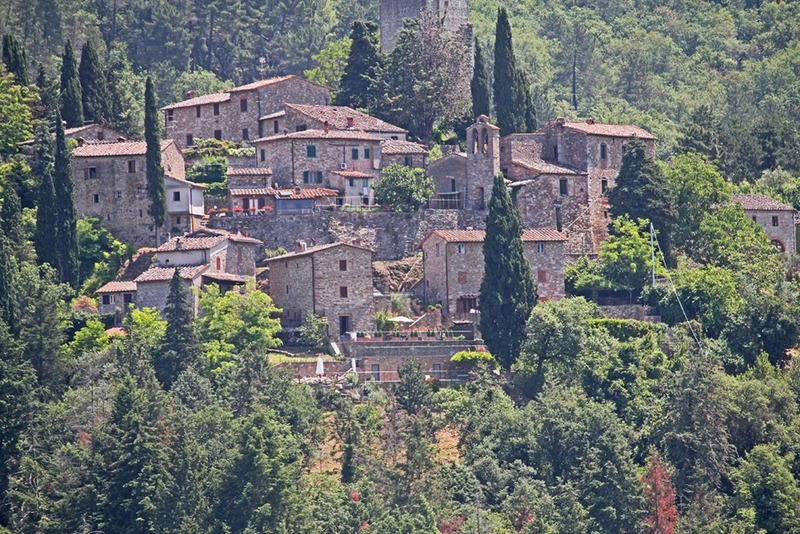 Next stop, the village of Montepulciano. This tour was planned and executed by Chris Gluck, owner of The Wine Vault and Bistro in San Diego. Two articles caught my eye recently about storied wines that are getting hard to sell. 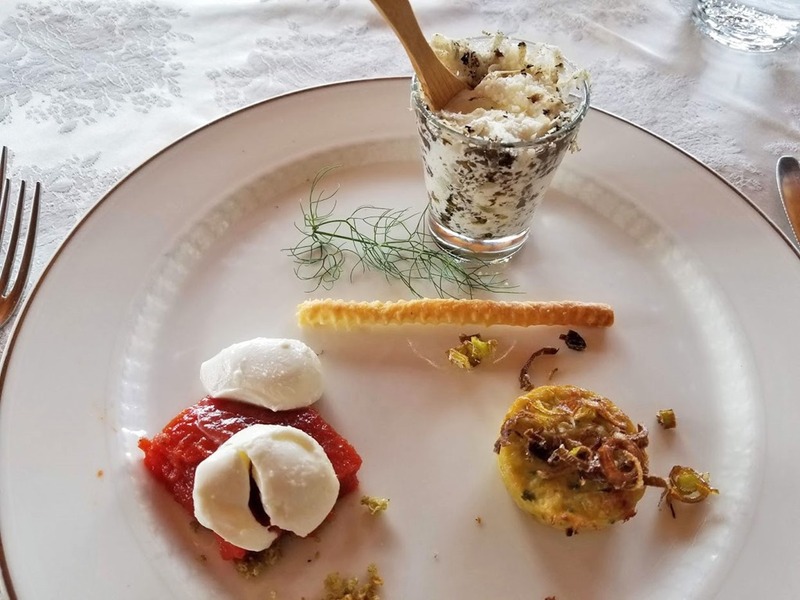 Several Italian restaurants in New York and Chicago report declining sales of Chianti as Super Tuscans and riper wines from emerging regions in Southern Italy gain in popularity. But the cited explanation for the decline is a conundrum. Some say it’s because customers prefer softer, riper wines with less acidity that are easy to drink. 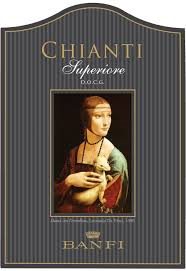 Others claim that Chianti has adapted to this new style by adding soft, easy-drinking Cabernet and Merlot to the blend and has lost its traditional appeal. Can they both be right? Statewide, we all witnessed the Syrah boom of the 1990s,” says viticulturist Greg Adams, winemaker for Baker Lane Vineyards in west Sonoma County. “A planting frenzy was ignited by a few quality-focused producers, and being a high-bearing variety, every farmer seemed like they needed to get in on the Syrah gold rush before their neighbors did, only to spark an unsustainable growth of a relatively marginal grape variety….The way this translated into the marketplace was with an ocean of average, overripe Syrah, which ended up being discounted due to an unmarketable oversupply,” says Adams. There is a common theme here isn’t there? Consumers demanding more ripeness and bigger flavor. Wineries chasing the latest trend give it to them. But then the consumers get bored because over-ripe wines are, well, boring and so they lose interest. You can blame the wine industry for chasing a fast buck but that would be like blaming lions for being predators. The real problem is consumers who think every wine should taste like Cabernet, and then wonder why they get bored when every wine tastes like Cabernet. Wine drinking is like portfolio management—diversify! *Yes. I know Cheval Blanc (pictured) is elegant Cab Franc and Merlot but I liked the picture. This is not your standard bottom shelf Chianti. 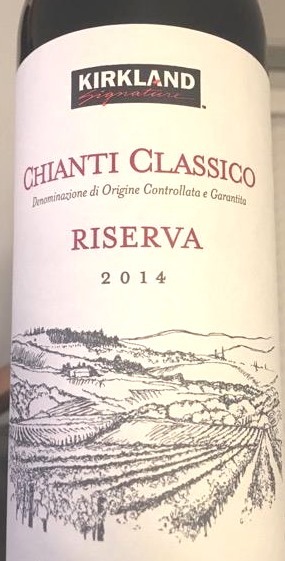 It’s a riper, darker-fruited Chianti, with some raisin notes and a layer of milk chocolate–but also plenty of prominent earth notes and tobacco to redeem it. With aeration the more typical sour cherry flavor becomes more apparent. In the mouth, the introduction is bold with an impression of sweetness but the midpalate turns angular and hard with a very dry, course finish featuring tart sour cherry and spice. This is an interesting evolution from plump to austere leaving an overall impression of rusticity. Tannins are sandy and acidity ample enough to give the wine life, albeit a life that ends in tragedy. 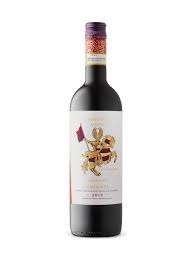 Superiore on the label in Chianti simply means the grapes come from one of the non-Classico sub-regions of Chianti and the wine must be aged nine months, of which 3 months must be in bottle. This version from Banfi was aged 4-5 months in French barrique and includes 10% Cabernet Sauvignon as well as a bit of Canaiolo with the Sangiovese. A unique expression, riper with more oak treatment and sort of brash especially as it finishes, it’s not classic but stays close enough to the real thing to give satisfaction at its price. Corey Harris’s Santoro has the right mix of earth and blues to resonate with the spirit of this wine. Two comparably priced, entry-level wines from Chianti by major producers, both with deep roots in the winemaking history of Tuscany. Is one clearly superior? The Gabbiano is classic Sangiovese showing prominent sour cherry and baked earth aromas with flinty undertones. It’s soft and supple on the palate, a little thin, but the finish is persistent with good acidity and pleasant tannins. The Ruffino is a slightly bigger wine although both are medium bodied. 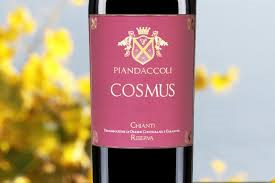 It is darker in color and showing more berry notes than the Gabbiano, rounder and with a bit more weight on the palate. But the Ruffino has green, twiggy notes that are distracting and the finish is tart and rustic with grainy tannins. Both are simple wines without much depth or complexity designed for everyday consumption. It really comes down to personal preference. The Ruffino, 70% Sangiovese with the rest a blend of Cabernet Sauvignon and Merlot, has a bit more weight and structure but that intensity is not always pleasant. The Gabbiano, 90% Sangiovese with small percentages of Colorino and Canaiolo, is softer and more amiable with more complexity on the nose and fewer distracting elements. Both will wash down a pizza but for sipping I prefer the quiet subtleties of the Gabbiano. I’m ambivalent about publishing negative wine reviews. Who wants to read about “blah”? But books and film receive negative reviews that are informative—why not wine? And truth be told, Chianti has been pushing this stuff on the export market for decades and it never seems to get much better. They should be called out. Layers of dark cherry and earth on the nose, simple and pleasant. But the palate is thin, tart and peppery with green vegetal notes and a medium length finish. There is almost no fruit. This is a standard, budget Chianti, but no bargain at this price. If you’re having pizza and you don’t like the taste of your water, give it a try. Otherwise try the Straccali or Gabbiano instead. 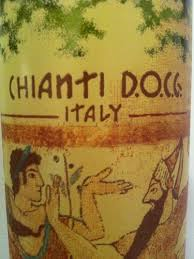 I love Chianti for one reason. The good ones have dusty, baked earth notes that remind me of country roads on warm summer days. It’s one of those iconic flavor profiles; and this wine has it in spades. But, in addition, the ripe fruit notes glow, the finish is tense and active, with bitter herbal notes supported by ravishing acidity and firm tannins. It’s so Italian you expect Puccini to come pouring out of the bottle. The classic sour cherry aromas are there but are over-ruled by unusually ripe berry fruit, infused with clove and dried herb, but all in service to those lovely, dusty, earth notes. The palate has a juicy surface but the dry and earthy underbrush gives it complexity, set off by subtle vanilla on the back of the midpalate. The soft, supple, medium body lulls you into complacency before the big finish hits. Sturdy yet agile like a great athlete, an outstanding wine. The blend is 80% Sangiovese, 10% Merlot, 10% Cabernet Sauvignon. Among all wines, fine as well as cheap, the contrast between old world and new world is breaking down as an international style using ripe grapes and soft tannins seems to be what the casual wine drinker likes. But occasionally you run into a hold out, an unreconstructed celebration of dirt and acid. This Chianti is a throw back to the old days. Interesting meaty aromas greet you, like a hunk of salami on top of berry, hints of sour cherry and some bell pepper highlights. Strange but interesting and worth the price of admission. The palate opens with a little juice but turns thin and acidic. Low- intensity fruit prevails, bitter on the back of the midpalate but with some redemptive tannic grip on the finish. Take- no-prisoners rustic. There is a place for wines like this if only to remind you of the peculiarities of history—sort of like Civil War re-enactments and Moon Pies. A blend of Sangiovese and Merlot if that matters.